Your sophisticated look will be appreciated in the office or the arena in these attractive Rock and Roll Cowboy trouser jeans. 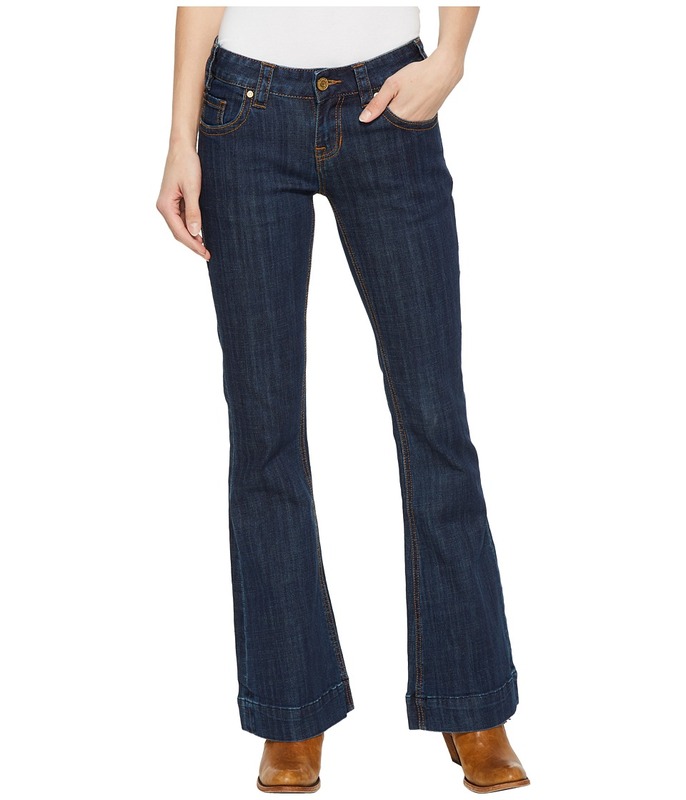 Mid-rise, bootcut jeans are straight through the hip and flares out at leg openings. Dark washed denim lends a sleek finish with light hand sanding and contrast stitching. Belt loop waistband. Zip fly with double button closure. Five-pocket design. Reverse seams along rear pockets. Logo patch at back. 98 percent cotton, 2 percent spandex. Machine wash, hang dry. Imported. Measurements: Waist Measurement: 26 in Outseam: 39 in Inseam: 32 in Front Rise: 7 in Back Rise: 12 in Leg Opening: 20 in Product measurements were taken using size 26, inseam 32. Please note that measurements may vary by size. Leave a lasting impression at the office, or the stables, in these amazing Rock and Roll Cowgirl trousers. High-rise jeans are fitted through the thigh and break at the knee into a wide, flared trouser leg. Stretch, medium-wash denim crafted with heavy hand sanding and tacking lending a slightly worn-in look. Belt loop waistband. Zip fly and button closure. Five-pocket design. Rear patch pockets boast reverse creased seams. Brand patch at right rear waist. 98 percent cotton, 2 percent spandex. Machine wash, hang dry in shade. Imported. Measurements: Waist Measurement: 28 in Outseam: 39 in Inseam: 31 in Front Rise: 8 in Back Rise: 12 in Leg Opening: 20 in Product measurements were taken using size 26, inseam 32. Please note that measurements may vary by size. 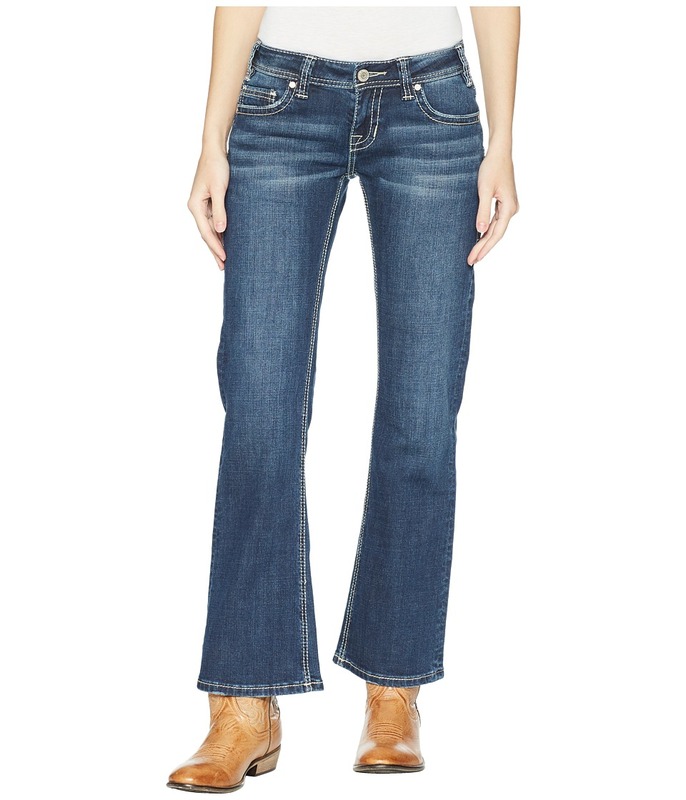 Conquer your afternoon without breaking your stride in these sensational Rock and Roll Cowgirl High-Rise Jeans. 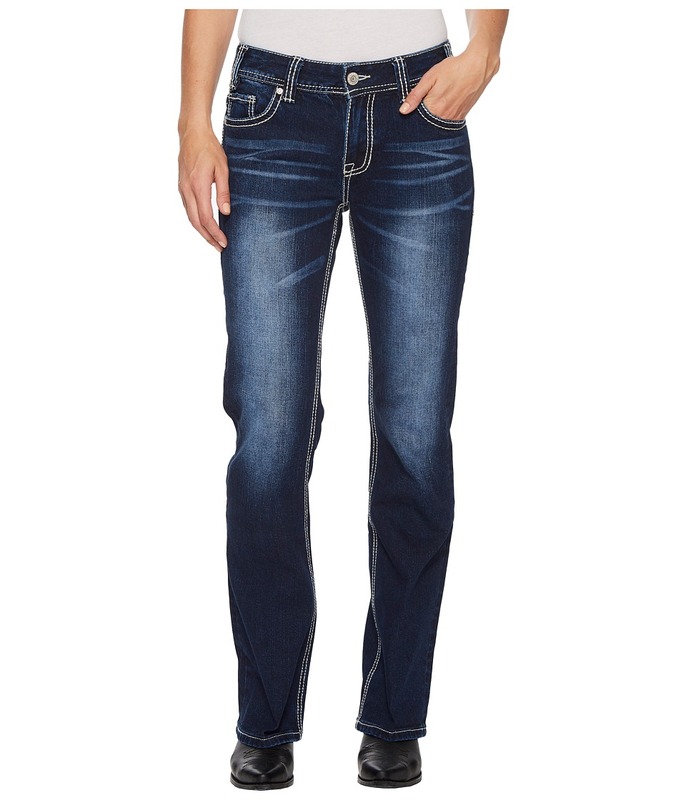 Stretch denim jean boasts a straight fit from the hip and flares out at the calf. Tinted medium-washed denim boasts a slightly lived-in look with whiskers, mild hand sanding, and raw-edge seams. Belt loop waistband. Zip fly and button closure. Classic five-pocket construction. Modern reverse crease displayed along rear pockets. Brand patch at right rear waist. Extended straight hem allows room for personalized tailoring. 98 percent cotton, 2 percent spandex. Hand wash, line dry. Imported. Measurements: Waist Measurement: 25 in Outseam: 40 in Inseam: 30 in Front Rise: 10 in Back Rise: 15 in Leg Opening: 22 in Product measurements were taken using size 25, inseam 30. Please note that measurements may vary by size. Spend your night humming along the tunes at the saloon in this fun-loving Rock and Roll Cowgirl Top. Relaxed fit drapes the body with a figure-flattering silhouette. 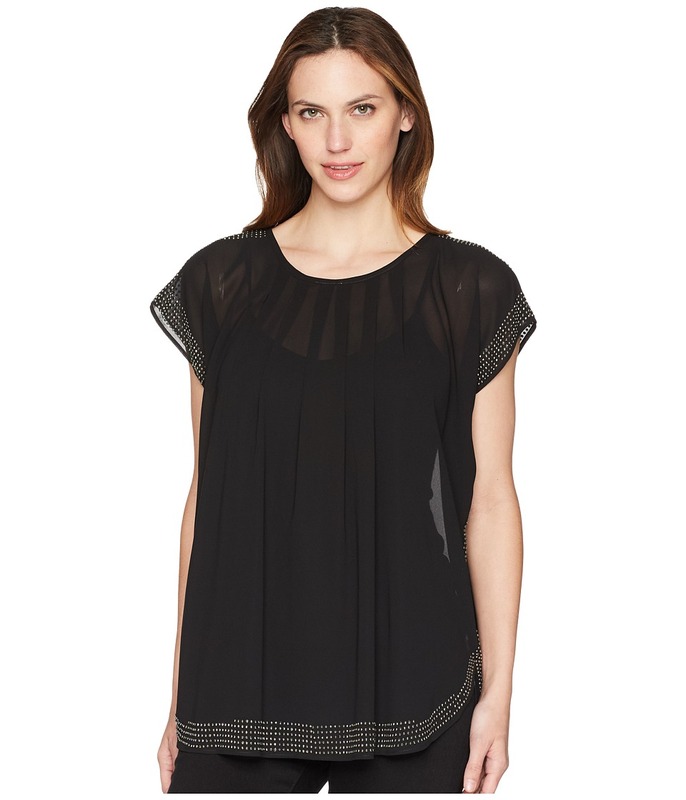 Lightweight chiffon fabric crafted with sequin detail along sleeves and hem. Slip-on styling. Scoop neck. Dolman sleeves. Pleats along front. Curved hem hits below hips. 100 percent polyester. Machine wash, line dry. Imported. Measurements: Length: 28 in Product measurements were taken using size SM. Please note that measurements may vary by size. Spend your night humming along the tunes at the saloon in this fun-loving Rock and Roll Cowgirl Top. Relaxed fit drapes the body with a figure-flattering silhouette. 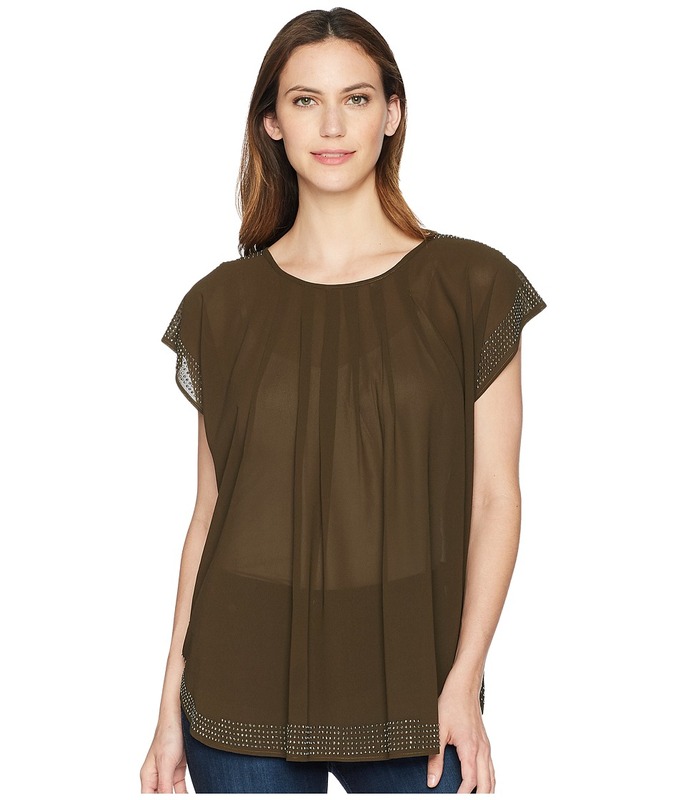 Lightweight chiffon fabric crafted with sequin detail along sleeves and hem. Slip-on styling. Scoop neck. Dolman sleeves. Pleats along front. Curved hem hits below hips. 100 percent polyester. Machine wash, line dry. Imported. Measurements: Length: 26 in Chest Measurement: 16 in Product measurements were taken using size SM. Please note that measurements may vary by size. Showcase your sassy side with a country-cool appeal in this lovely Rock and Roll Cowgirl Top. 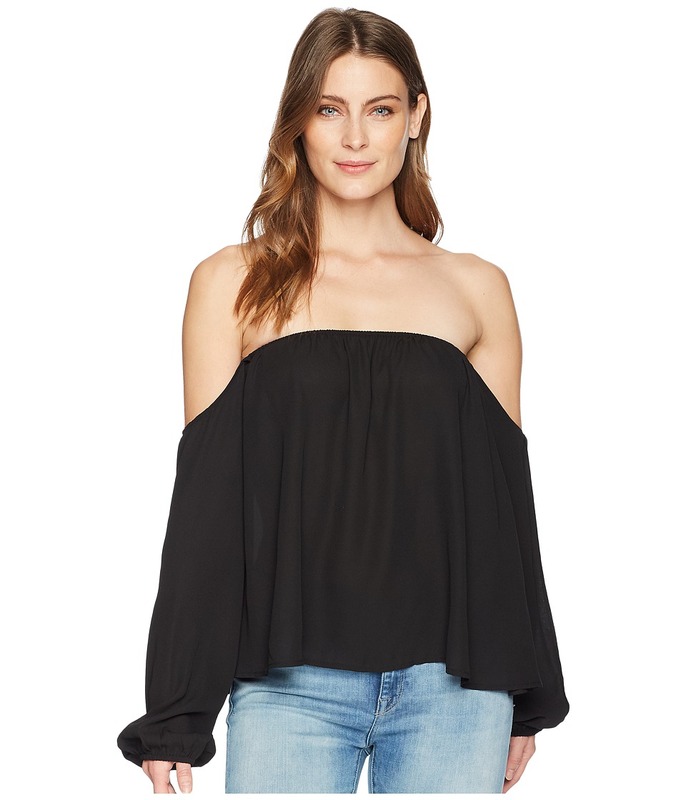 Relaxed fit off-the-shoulder blouse drapes the body with a flowy silhouette. Breathable weave offered in a solid colorway lends a sleek look. Elasticized neckline. Long-sleeve coverage. Straight hem. materials Machine wash, line dry. Imported. Measurements: Length: 19 1 2 in Chest Measurement: 14 in Sleeve Length: 22 in Product measurements were taken using size SM. Please note that measurements may vary by size. Trade in your everyday jeans for a modern look with these appealing Rock and Roll Cowboy jeans. Mid-rise pant sports a straight fit through the thigh and kicks out slightly at the calf. Stretchy, medium-wash denim sports intricate embroidery along rear patch pockets with contrast stitching. Belt loop waistband. Zip fly and button closure. Classic five-pocket construction. Brand patch at right rear waist. 98 percent cotton, 2 percent spandex. Machine wash, hang dry. Imported. Measurements: Waist Measurement: 26 in Outseam: 41 in Inseam: 32 in Front Rise: 9 in Back Rise: 14 in Leg Opening: 18 in Product measurements were taken using size 26, inseam 32. Please note that measurements may vary by size. 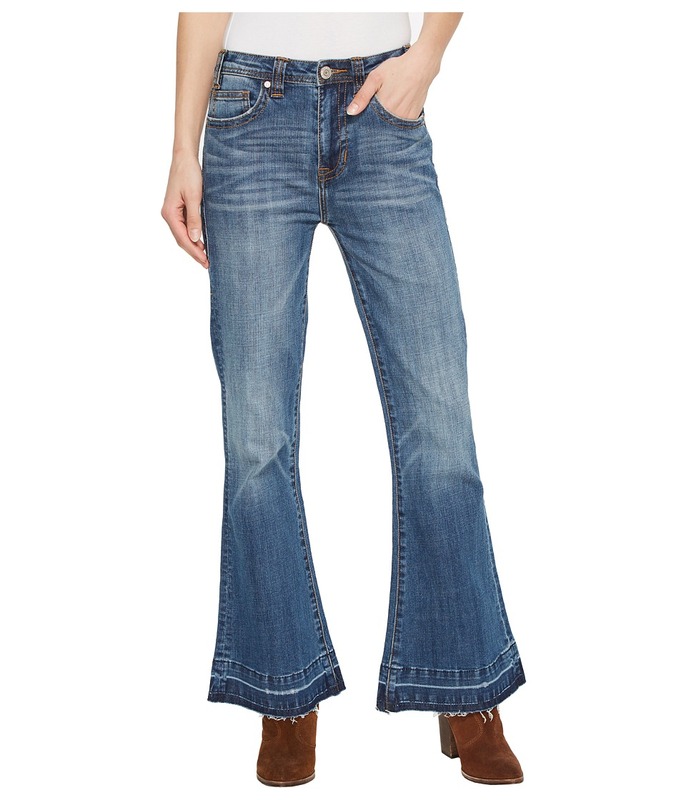 Take into account all the fun times ahead in these modern Rock and Roll Cowgirl Bootcut Pants. Mid-rise jean sports a straight fit through the thigh and flares at leg opening. Dark-washed denim sports a distressed finish with whiskers, heavy hand sanding, and patchwork throughout. Belt loop waistband. Zip fly and button closure. Classic five-pocket construction. Reverse creased detail along rear pockets. Brand patch at right rear waist. 98 percent cotton, 2 percent spandex. Machine wash, hang dry. Imported. Measurements: Waist Measurement: 30 in Outseam: 40 in Inseam: 31 in Front Rise: 9 in Back Rise: 13 in Leg Opening: 26 in Product measurements were taken using size 26, inseam 32. Please note that measurements may vary by size.